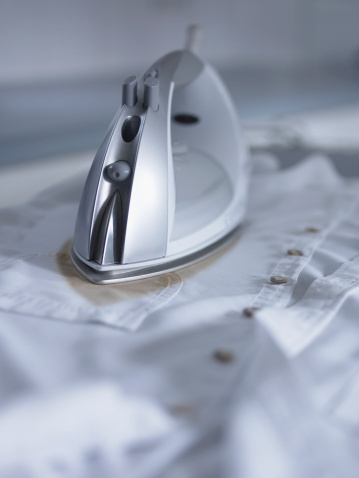 Irons are widely used for blocking knitting, especially in the cases of cotton and some other yarns that can lose shape when they are washed. No one wants to waste his/her money; therefore, suitable attempts should be made to adjust the shape of your fabric, otherwise you will not be able to have the desired shape and level of comfort. Many people consider blocking knitting a complicated process but in fact it is quite easy. You should take a good look at your fabric before blocking its knit because it will be hard for you to reverse the process. Therefore, it is of utmost importance that you should confirm whether you want to block the knit for good or not. The first step in this process is to wash the knit very carefully. It is important that you get rid of all the dust and stains on the knit before making any attempt to block it with the iron. For this, you can use your usual routine for washing your clothes. It is up to you to decide if the fabric is to be washed in the machine or by hand. After you have washed it properly, it is strongly recommended that you should place the knit in the dryer and let it completely dry so you can work on it later on. You should not try to hurry the process and make sure that it has completely dried otherwise the procedure you are about to perform might not work. Scarves are usually too long to be placed on the iron stand. Therefore, you can use the floor if you want but make sure that you place a sheet on the floor otherwise the knit will get dirty. You must ensure that the floor is flat and there are no bumps. Now you should fill the water reservoir of your iron and change it to steam. You must turn on the iron and let it get warm otherwise it will be hard for you to block the knit. Now you should apply a little bit of water to the affected area and make sure that the knit is in the desired shape. Now, you can go ahead and apply the hot iron to the area of the knit you wish to block.